Struggling with medication math? Worried you’ve calculated the wrong medication dose for your patient? 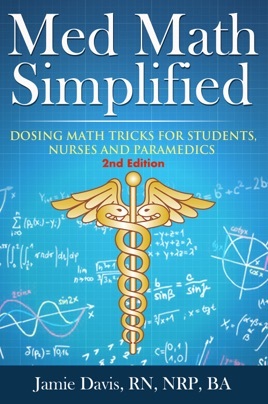 Med Math Simplified represents the hard lessons learned by the author while becoming a paramedic and later a nurse. It uses the concepts of dimensional analysis with a good old common sense approach to learning the math and formulas needed to safely and correctly arrive at drug doses for your patients. This book was originally created as part of an online video course where Jamie took viewers on a step-by-step tour of the problems and equations in the program. Many of his audience members wanted a resource they could take with them after the course to review and practice the skills learned in the video program. Thus the eBook and paperback book versions of the program were born.